I am hot, sweaty, tired, and emotionally drained. 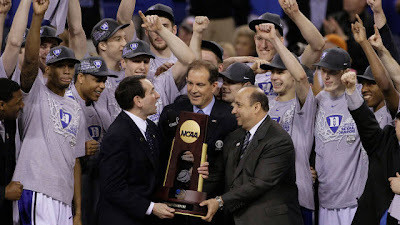 Yet it was all worth it because Duke University is the 2010 NATIONAL CHAMPION!!!! 'Cause we are the champions - of the world"